If you follow my Instagram account, you know all about my nightly dinners. I typically post what we eat (and how I make them) in my stories. This week, I’ve noticed that I’ve been posting a ton of drinks as well. Maybe the holidays are getting the best of me. LOL! Anyway, I recently asked my children to each pick a recipe for me to make and my two sons both wanted baked ziti. Ok, actually, Liam wanted lasagna but I convinced him that baked ziti was pretty much the same thing. 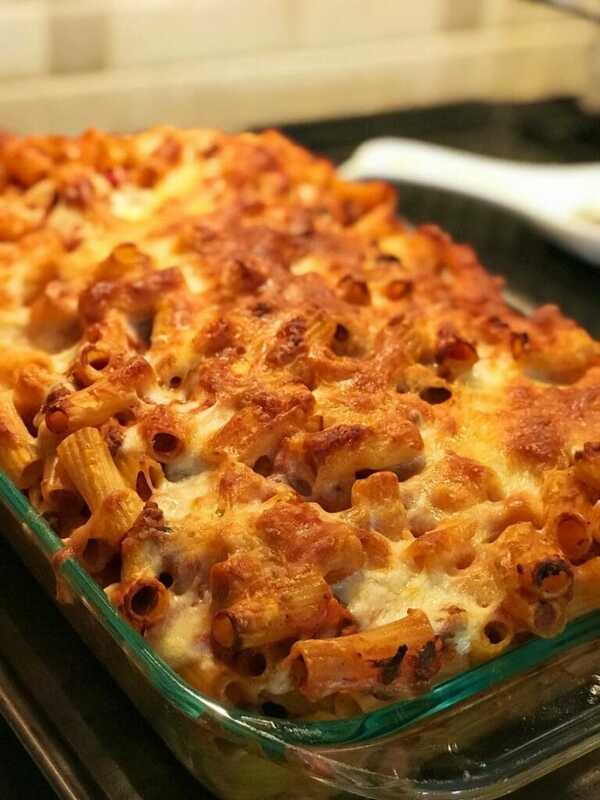 Let’s be honest, moms… baked ziti is MUCH easier to make than lasagna! Please! Anyway, he agreed and here we are. Boil the pasta right before you think it’s al dente. You don’t want it to be HARD… but you also don’t want it to be edible as well. Drain and put aside. Brown the chopped meat. Add a little salt and pepper. When you are 80% done, push everything to one side of the pan and use the other half of the pan to cook the onions and garlic. Add a little bit of olive oil, salt, pepper, and a tablespoon of oregano. Cook until translucent. Mix with meat. You could add more oregano if you feel like you need it. Cook through. Drain if needed. Set aside. Heat up the sauce. Combine the Rao’s with the can of tomato sauce. You don’t really need to season this one but if you feel the need, you could add a little salt and pepper. Up to you. Warm until you see bubbling. Grab a HUGE bowl and place the pasta and meat in the bowl. Mix. Add the cup of parmesan cheese to the bowl. Mix. Use a 10×13 casserole dish and place a layer of your mixture into it. Dollop several small spoonfuls of ricotta cheese throughout the dish. Cover with next layer of pasta mixture. Repeat steps 8 and 9 until you fill your dish and have no pasta left. Top dish with mozzarella cheese from the second bag. You do NOT have to use the entire bag. Just drizzle enough to cover the area. Cook at 350 for 35 minutes or until top is golden brown. OPTIONAL — you could also sprinkle with chopped fresh parsley at the very end if you want. I just never remember to buy this!! Previous Post: « See My Family In This ReadyRefresh Spot! 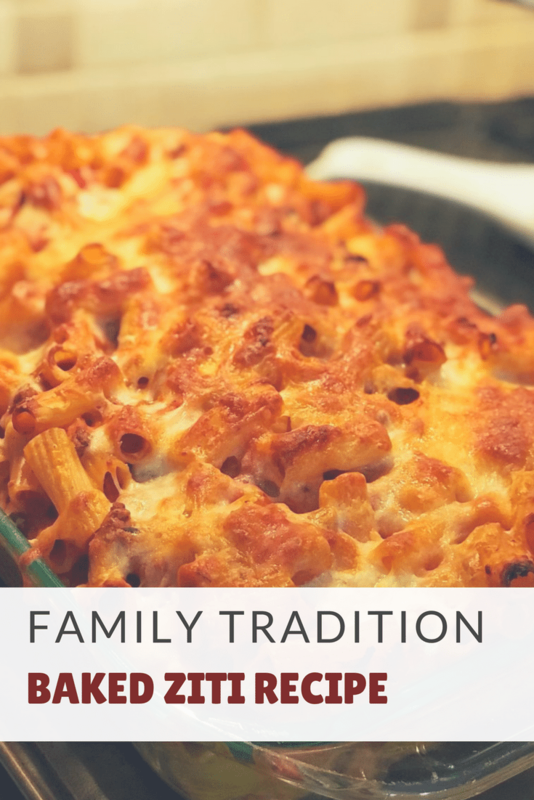 We love Baked Ziti in our home! I will definitely have to try making this recipe sometime. It looks and sounds delicious!